FREE Clear Scalp & Hair Therapy Samples! 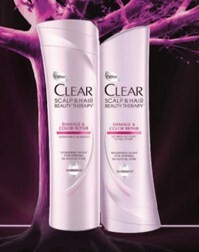 Head over here to request free samples of Clear Scalp & Hair Beauty Therapy Total Care Nourishing shampoo & conditioner! You'll need to enter the code CLEARstyle. I got my samples from a different offer yesterday and they were nice sized samples!